Companies that are innovative can still be further optimized and automated. 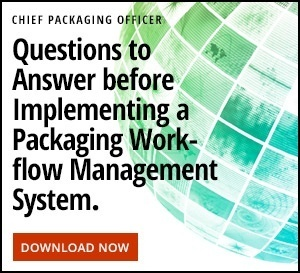 In fact, when it comes to packaging and labeling, many organizations that have strong internal development teams struggle with the decision of when and how to implement automation and digitize their artwork and labeling workflows. James Haas, the Director of Product Labeling Operations at Siemens Healthineers, and his team are committed to continuous process improvements. Together, they are focused on implementing tools and workflows that make the artwork and labeling management process more efficient for the healthcare unit—which produces equipment for the healthcare diagnostics industry as well as reagents used in medical testing. After leading companies decide to leverage new tools, they generally debate whether to develop automation tools internally or buy them from other vendors. But beyond simply investing in new tools and deploying them, there is another major factor to consider when eying a move to automation: people, the most important piece of the puzzle (more on that later). Cost. Why spend $1 million to update processes when you have the right people in place who are already doing an excellent job? This thinking prevents many companies from modernizing. In fact, a recent study found that 90% of organizations are held back by legacy tech. People. Employers understand that their workers are often scared of the mere mention of the word automation because they feel as though their jobs are threatened by the technology. What’s more, many employees are simply comfortable in their ways and resist change. Whatever their sentiments may be, it’s impossible for employees to reach their full potential without modern tools. Unfortunately for many organizations, 56% of employees don’t have access to the tech they need to do their jobs effectively. Luck. If it ain’t broke, don’t fix it. Many companies hesitate to enact change until a catastrophic event occurs (e.g., an expensive labeling recall). Sooner or later, companies that don’t take advantage of modern tools find themselves significantly disadvantaged against their competitors that are already using automation. How, then, can companies deploy new tools and new workflows while convincing their teams to buy in? The global market for automation is expected to grow significantly over the next several years, and for good reason: The technology enables companies to get more done more efficiently in less time—and less expensively. Show ROI to upper management. The C-suite cares about results. To convince your superiors that automation is the way to go, you first need to show them how the technology will increase value for all organizational stakeholders. Under the old way of doing things, it might take four weeks to create labeling and three weeks (conservatively) to correct an error. That’s seven weeks altogether. With a modernized approach, it might take five weeks to create everything correctly the first time. But it’s still two weeks faster. Multiply that across an entire year for an organization that deals with thousands of SKUs and the ROI speaks for itself. Demonstrate how automation improves jobs. Nobody wants their job to be any harder than it needs to be. While many employees are hesitant to change the way they do things, it’ll be an easier sell when you can demonstrate, very clearly, how new technologies and workflows can not only make their jobs easier, but also enable them to do their best work. In the past, companies used to devote entire positions to managing the review and approval process for labeling, for example. Someone would be in charge of gathering artwork, sending it to reviewers who’d annotate it and send it back, then compiling all of those changes and reconciling them. Suffice it to say it was a long, inefficient process. With automated solutions in place, however, employees may have to put in a bit more work up front—but they’d save a lot of time on the backend, freeing them to focus on other important tasks, as technology takes care of grunt work in the review and approval processes. In this light, automation serves as a tool that expands roles instead of eliminating them. With new technologies in place that make work easier, employees are relieved of stress. As a result, employee engagement, productivity and employee retention improve—all of which increases profitability. Provide a clear vision of what the future looks like. It’s easier to follow someone when you believe in where they’re going. Making automation work at your organization is only possible when you clearly outline what the future looks like—and you help your team get there. Talk about the benefits. You’ll bring higher quality products to market faster—and more cost-efficiently. The company will benefit financially—and those gains will trickle down to the employees. Also discuss specific use cases for the new tools. For example, automation can be used to automatically pull information from databases and content management system to assemble labels on demand. Who wouldn’t want to work in an environment where it was that simple? Change is never easy. And it’s even harder when there’s pressure on teams to bring game-changing products to market under tight deadlines. For your automation investments to succeed, you need to focus on effective change management. Getting buy-in at all levels of the organization is critical for successful change management initiatives. Demonstrate the ROI to the C-suite, show how automation improves jobs and detail your vision of what the future looks like to convince relevant stakeholders the cause is a just one. You can’t just force new tools on employees and expect them to be thrilled to change their entire workflows to accommodate the investment. Instead, map the day-to-day changes your packaging and labeling heroes—who commercialize thousands of SKUs every year—can expect at work. Outline what other kinds of activities your team can expect to tackle with the time they’re able to reclaim—and how those activities bolster their career opportunities. Demonstrating their job security is the ticket to increasing employee satisfaction and engagement. The last thing you want to do is wait for a catastrophe to occur before being forced to react. Take a proactive position instead: Optimize your workflows and your tools before you’re backed into a corner. Remember, your current process isn’t necessarily incorrect. It’s just that you have an opportunity to make it better. Identifying which system is right for your organization and workflow is only the first step in the equation. To successfully sell the new tools internally, you’ll need to find a few folks who will champion the cause on your behalf—and convince their peers to follow along. Otherwise, you may find yourself spending a lot of time and money investing in automation only to find your team is less than enthusiastic, at best, to try the new workflows. 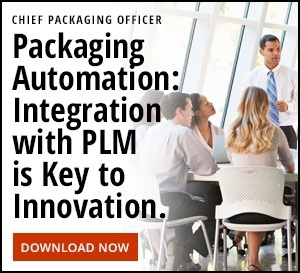 Transforming your labeling and packaging workflows with automation isn’t just all about choosing the right solution. It’s as much about people—if not more—than it is about software. Get your people on board and get ready to take your organization to the next level.